General Commercial zoning in Hardeeville Town Limits bordering Beaufort County. Undeveloped property is 22.345 acres total, with 19.958 upland acres between Riverwalk Business Park and Ferrellgas service yard on Hwy 170. Excellent commercial location with approximately 600 frontage on Hwy 170. Price based upon 150,000.00 per upland acre. Survey available. Possible connection to Riverwalk Business Park in rear. Mature tree cover over entire parcel. A builders custom home built for his family; has had only one owner. Upgrades galore & no expense spared! House is on 2 lots that total 1 full acre on true deepwater. There's a deepwater dock w/7000 lb boatlift & 30' floating dock. Heated pool w/slide & brick deck. Kitchen has granite counters, a subzero fridge, and wolf gas range. Views from almost every room in the house. Gorgeous formal living room w/fireplace. A separate formal dining room and a luxurious family room w/another fireplace & coffered ceilings. Master suite is everything you would expect in a house of this magnitude. The dining room chandelier does not convey with the house. HunterGÇÖs paradise GÇô plenty of wildlife can be found on this 343 acre tract of land. Beautiful open space, trees, and a 10.7 acre island with deep water access to the New River. Property can be subdivided into four mini-plantations with easy drive time to downtown Savannah, Bluffton, and Beaufort, SC. Great opportunity to live in the South Carolina Lowcountry and experience the beauty. Acreage In Downtown Hardeeville. The Commercial Hub Of The Upcoming Jasper Port. Currently Zoned Rural Agricultural Holding Multiple Classes Of Use! Another 38.20 Acre Lot Available Close By! Ask For Details!!!! Only three years old. Individually metered 3 phase elec. Very versatile. Paved parking area. Two buildings of flex bay space 8,650 SF each. Six overhead doors each at rear. Walk doors at front. Owner will consider selling separately. Possible financing or trades. 3 acre gated site with plenty of parking and 11,200 sf under roof includes offices, warehouse, storage building, and high bay. Included is approximately 4,800 sf of conditioned space. Buyer to verify square footage. Available for sale or lease. Lease rate is $10 / gross of NNN. Roll-up door is 12' W x 13' H and High Bay is 20' high at peak. 3 offices, conference room, kitchen, reception and waiting room. Spectacular views of the marshes on Boyd Creek from this very private estate with 15+ acres of fields, mature southern landscaping and pond w/its own island. Kayak to Broad River from home or launch a boat from deep water landing nearby.Property has undergone 2 yrs of renovations and detailed refinishing to include (2) new HVAC systems, new refrigerator, pool pump, countertops, porch screening, plumbing fixtures, horse/dog fencing;exterior and interior walls and woodwork painted and customized to match the period of this Victorian stye home.This is truly a unique marsh front property minutes from Bluffton and Hilton Head w/easy access to I95. Over 10 acres in the heart of Hardeeville, SCGÇÖs business district. This 10 +/- -acre lot sits approximately -+ mile from exit 5 off 95 on Route 17 North and is steps away from Hwy 321. There is no better location for your business. Directly adjoining the property is HardeevilleGÇÖs new industrial park. This will be one of the GÇ£hottestGÇ¥ locations in Hardeeville over the next few years. Property is undividable. 116.6 acre private estate located in the heart of the South Carolina Lowcountry. Offered for the first time in decades, this property offers the utmost in privacy and comfortable country living near the heart of Ridgeland, SC. Perfect for hunting, four wheelers, horses, and raising a family. Improvements include a double wide manufactured home, 3 storage sheds, and a great trail system allowing access throughout the property. 11.6 acres of mixed use property in the heart of Downtown Ridgeland. Perfect location for affordable housing development, retail, or large homestead. 379 feet of frontage on S Logan St. Property backs up to a canal. can be divided into over 60 homesites. Electric, city water and sewer available. Close to I95. Current home and mobile convey at no value. Conservation Easement Property with certain restrictions. Incredible opportunity! Deep water property on -+ acre with a private dock and no HOA. Watch spectacular sunsets over the marshes of Boyd Creek from your wrap-around deck! Enjoy the private 20GÇÖ floating dock with boat cradle and deep-water access! Detached 3+car garage with 24GÇÖ ceilings, workshop and storage rooms is perfect for boat, RV and ATV storage! The main home is home filled with character, such as wood ceiling beams in the living room and a 2-story brick fireplace, 3-bedrooms, 3-bathrooms and a loft. Unfinished 600 sqft. apartment offers great potential rental income or multi-generation living. If you are looking for a place for your horses, a place to farm, property to ride your ATV, or perhaps you just want to get away from the crowds, this is it!! 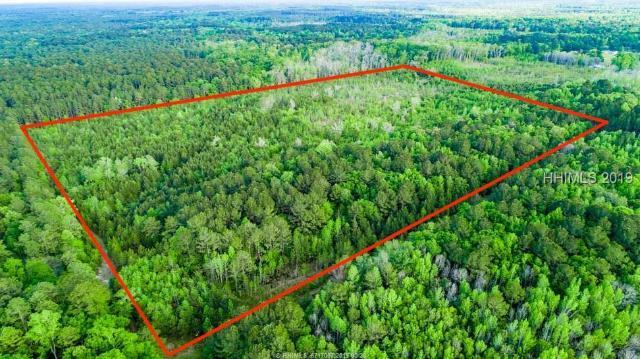 Enjoy this beautiful tract of land that consists of a total of 103.5 acres on 2 parcels in Pineland, near Gillisonville, SC. NO HOA/POA FEES!! This property is wooded and has lots of potential uses. Inquire, visit, and purchase your peace of mind. Close to stores, restaurants and I-95. Log Cabin in the country, close to everything, 25 minutes to airport and Savannah, 5 minutes to Hardeeville, 15 minutes to Bluffton, 20 minutes to Hilton Head, 25 minutes to Beaufort, two stocked fresh water ponds, two out-buildings, large yard and over 6 acres for horses or livestock, pool, hot tub, outdoor shower area, 7 camera security camera system, all new appliances, stone fireplace. If you are looking for a private compound in the Bluffton/ Hardeeville area, this is it. Jasper County tax office currently has acres at 7.86, but 1.2 acres has been "chopped-off", so actual acres is close to 6.5. The property is located on Hwy 46 Argent Blvd but not visible from the road. Very close to Sun City, Hampton Pointe, Hwy 278 & 170. Steel framed construction with metal roof, the interior has a large open room currently used as a call operation with multiple offices, break room and three restrooms. Currently Leased. Property is 1.2 acres, Built in 1995. No responsibility for taxes!! NEW GATED COMMUNITY! Welcome to Osprey Lake, the beautiful new lake front community from Logan Homes. 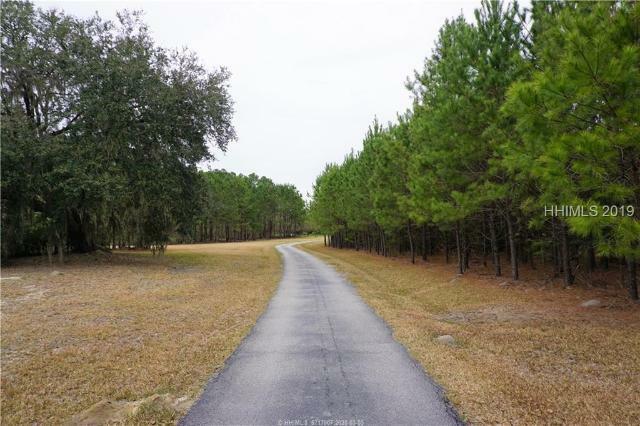 Conveniently located just minutes from downtown Savannah & Bluffton, Osprey Lake features 2 gated entrances, large home sites, & a 17 acre community lake & park. The Gaston floor plan offers a large living space downstairs & master bedroom, but upstairs has even more! 2 back bedrooms & an office overlook the lake, & an en suite bedroom & a huge rec room make up the remaining floor. Take advantage of the lake views from your back yard on the covered porch or light a fire in the fire pit & watch the sun set over the lake. This home is a model.